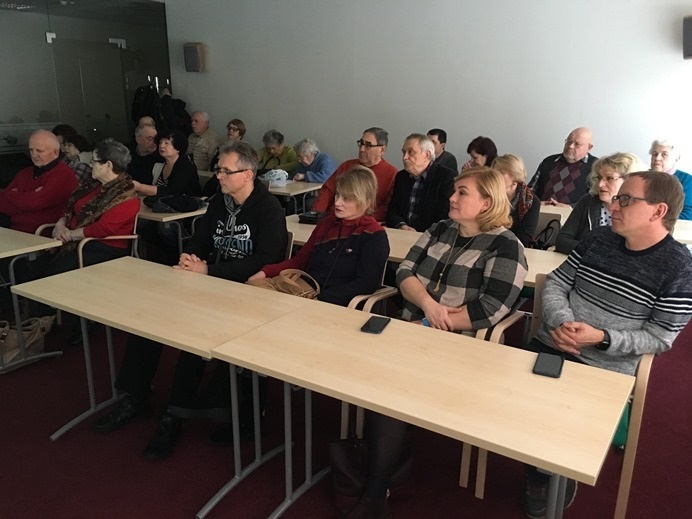 Community members met with Aušra Museum employee Vilma Karinauskienė January 25 and listened to a lecture called “Fragments of the History of the Šiauliai Jewish Community” on the painful topic of the Šiauliai ghetto. On July 15 this year we will mark the 75th anniversary of the destruction of the Šiauliai ghetto. Everyone attending supported the WJC campaign #WeRemember. 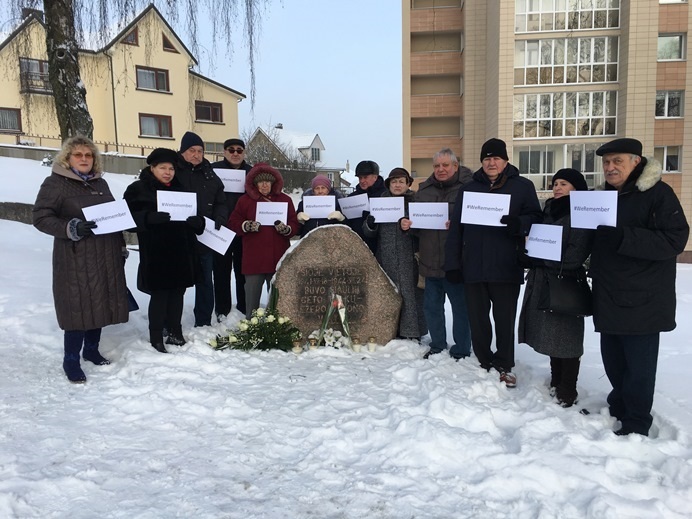 On January 27 community members gathered at the monument at the former gates of the ghetto and laid flowers, lit candles and observed a minute of silence for Holocaust victims. Among those in attendance wre community members and Šiauliai ghetto prisoners Ida Vileikienė and Romualda Každailienė. Later members attended a screening of a documentary film about the sonderkommando at Auschwitz followed by lunch and the sharing of memories, held at the Šiauliai Regional Jewish Community.